If you are looking for some ideas for your next batch cooking day, I suggest that you mozie on over and take a look at what Mama and Baby Love recently got into her freezer. Very smart use of her time and money! Head on over there and add some of these to your next batch cooking day’s plan! 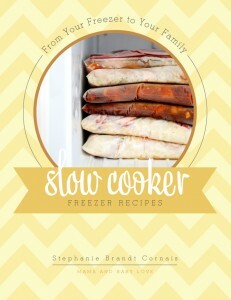 And while you’re there…grab a copy of Stephanie’s new Slow Cooker Freezer Recipes e-cookbook! It’s only $9.99 and is LOADED with great recipes and resources to help you keep track of what you’ve got in your freezer. This e-cookbook will bless and knock your socks off! 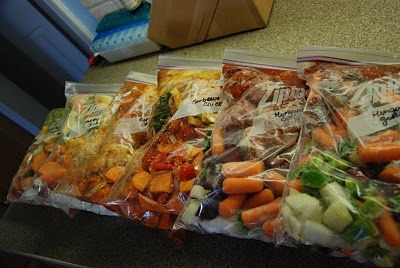 This entry was posted in How To, Slow Cooker, Tips and Tricks and tagged freezer cooking, slow cooker. Bookmark the permalink. I’ll have to check these recipes out! This is BRILLIANT! I thought I was a genius by freezing a chicken and dumpling container (broth, veggies, cream of chicken/cream of mushroom) – all that’s needed is adding chicken and dumplings later, but this is the next step! I will have to try to use this more as the more economical option is to buy more to pay less (especially with meats). Wish I had a bigger freezer :(. Need as many tasty healthy meals, i’m eating clean….no pre-packaged processed foods. Help! Pingback: Batch Cooking Plan – Slow Cooker Freezer Packs, Muffins, Cookies and More! Pingback: From Your Freezer To Your Famiy NOW IN PRINT!!!! What an interesting website. I’ll be sharing this with family n friends. Also planning to try MANY of your ideas! 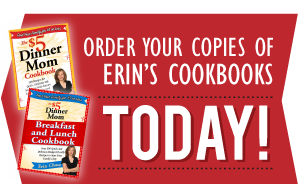 Pingback: Slow Cooker Freezer Meals | Recipes | One Dish Dinners | Recipes, Gossip & More! I’m with heth. Sounds like some yummy crock-pot fixin’s!Feel free to come up and visit us in the hospital. I will be there until Monday, maybe lengor depending on how the surgery goes! You can come anytime, but know that since I am having the big surgery, I will be out of it on Thursday for at least the better part of the afternoon. I would like to share in the moments as you meet Levi for the first time, so you may want to wait until Friday or later! :)By the way Levi’s middle name is Mark. That is Nathaniel’s middle name.Thanks for all of your prayers. We have really felt them as God’s hand has been cradling us over the last couple of years, and especially the last months. I tell people that Solar Panels are going to come down by 30 or 40%, and they tell me I'm a loon.They're loons — of course, they'll come down. But the sun will still go down at night and you'll never get more than 1kwh/sq m.. Capital (whether private or public) will never change that.